Yet another study shows that inducing labor increases the risk for a cesarean, especially in first-time mothers with an unripe cervix (one that has not done much dilating and effacing yet). In the study, they specifically looked at cesarean rates among induced mothers with an unripe cervix. They found that cesarean rates were particularly high among first-time mothers who were induced with an unripe cervix, but the risk was also elevated for mothers with prior vaginal births who were induced on an unripe cervix. This is why it is absolutely vital to ask your provider about your Bishop Score before agreeing to induce labor. The Bishop Score is a measure of how soft and ripe your cervix is before labor. It can help predict whether or not your body is ready for labor, and whether or not an induction is likely to succeed or fail. Each factor is "graded" on a scale of 0-2 or 0-3. The maximum possible score is 13. This all adds up to what some doulas call "induction math". The exact cut-offs used differs by source, but generally a score of 5 or less indicates the woman is unlikely to go into labor spontaneously at that time, and that an induction is likely to fail (result in a cesarean). A score of 8 or more indicates that an induction is more likely to succeed. A score of 9 or more indicates the woman will likely go into labor on her own very soon. Sometimes care providers use modifications of a Bishop Score to help predict likelihood of successful induction. One point may be added to the score for the existence of pre-eclampsia or for every previous vaginal birth. 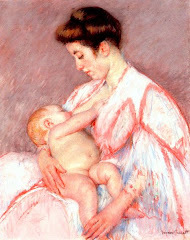 One point is often subtracted for a "postdates" pregnancy, being a first-time mother (or for no previous vaginal births), or preterm prelabor rupture of membranes. The Bishop Score is just one tool for predicting a woman's response to induction. Obviously, other factors matter as well. One often-overlooked factor is fetal position ─ which way a head-down baby is facing in utero. Most babies face either occiput anterior (back of the head towards mother's belly; baby looking at mother's back) or occiput posterior (back of the head towards mother's back; baby looking at mother's belly). Often a low Bishop Score is associated with a posterior baby, which is a less ideal position for birth. 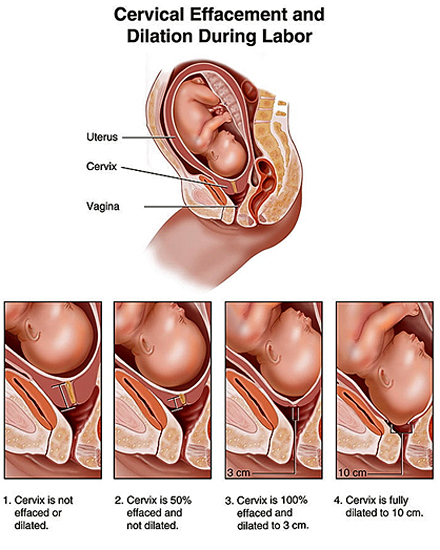 In this position, the the baby's head is not putting pressure as efficiently on the cervix, so there is less cervical effacement or dilation, and the cervix is often posterior (pointed towards the lower vaginal wall and hard to reach during a vaginal exam). When the baby rotates to anterior, the Bishop Score often changes dramatically because the physics of the baby's pressure changes. Many "overdue" babies are actually posterior babies whose positions are simply not putting the most efficient kind of pressure on the cervix to thin and dilate, and so the body wisely does not go into labor yet. Forcing the issue by inducing labor when the baby is posterior (or has other malpositions) tends to result in long, hard labors that often end in a c-section. So if your Bishop Score is low, it may not just be that your body is not "ripe" for labor, it may also be that the reason you are not ripe is because the baby is not in a great position for labor. For that reason, it may be wise to delay inducing until the baby is in a more favorable position for labor. In the 2011 study listed below, the charts of women who were induced with a Bishop score of less than 7 were studied. Those first-time moms who were induced with a Bishop score less than 7 had a whopping 42% cesarean rate. This shows just how important it is to have a nice ripe cervix before inducing labor, and especially so in first-time moms, whose cervices have never dilated before. Sometimes a doctor will try to reassure you that it doesn't matter if your cervix isn't ripe; they use drugs that help ripen the cervix before starting the induction drugs. And it's true that these drugs can help at times. However, even with cervical ripening methods, many inductions still fail. Cervical ripening drugs are simply not a panacea for preparing the body for birth when it's not ready. They work best when the baby is in good position and the body is close to being ready but not quite there yet. Cervical ripening methods are very unlikely to help in women with very low Bishop Scores. Now, if the cervix has dilated before, induction is more likely to work. Women who had had vaginal births before had a much lower cesarean rate after induction in this study, 14%. Still, this was nearly double the cesarean rate of those multips who went into labor spontaneously. Obviously, cervical ripeness matters, even in women who have had vaginal births before. Try to see a provider who is not induction-happy and won't induce automatically at a certain gestation. This is especially important for women of size, because many providers induce "obese" women at extremely high rates (a 50-60% induction rate is common in many recent studies). This is a direct but under-acknowledged factor in the very high cesarean rate in women of size. Question whether an induction is truly necessary in your case. Many inductions are done routinely, simply because it is convenient for the provider or protocol to induce by a certain gestational age. However, you don't have to agree to this intervention. Discuss the pros and cons of the induction vs. waiting with the provider, and see if you can negotiate for more time. If you are contemplating an induction, ask about your Bishop Score before agreeing to the induction. If at all possible, try not to induce before you have a favorable Bishop Score. If you are contemplating induction, ask about your baby's position before agreeing to the induction. If the baby is not anterior, consider delaying the induction. Seeing a well-trained pregnancy chiropractor may help encourage the baby to get into an easier position for birth. If a medical condition makes induction necessary even with an unripe cervix, look into ways to increase cervical ripeness before the induction. This can include acupuncture, herbs, and cervical ripening agents. Consider the pros and cons of each choice carefully for your situation, and remember that gentler methods generally need a longer time to be effective. Don't wait to the last minute to try the more gentle methods of cervical ripening if you are very likely to face induction. Be sure your provider allows adequate induction time before resorting to a cesarean. Recent research has shown that many providers move to a cesarean too soon in an induction; allowing just a few more hours (provided mother and baby are doing well ) may result in a vaginal birth after all. Remember, induction doesn't automatically mean you're going to have a cesarean; many women who are induced do end up having a vaginal birth. Go in with a positive attitude, try to remain as mobile as possible, and be sure to have professional labor support (a doula), who can often help maximize your chances even during an induction. However, because an induction does increase the chances for cesarean, be prepared for any possibility and have a cesarean birth plan ready if one becomes necessary. Induction is more and more common these days. This is why it is important for all women to be informed birth consumers and learn more about their choices around induction. The Bishop Score is an important ─ and often overlooked ─ part of this discussion. *Thanks to Holistic NYC Doula for the term "induction math" and for her excellent posts on the topic of the Bishop Score. OBJECTIVE: To assess the risk for emergency cesarean section among women in whom labor was induced in gestational week ≥41 and to evaluate if parity and mode of induction affected this association. DESIGN: Hospital-based retrospective cohort study. POPULATION: Singleton pregnancies delivered after ≥41 gestational weeks at Danderyd Hospital, Stockholm, Sweden, during 2002-2006. MATERIAL AND METHODS: Of 23 030 singleton pregnancies meeting the entry criteria, 881 were induced with a Bishop score of less than 7. Obstetric outcome was assessed through linkage with the Swedish Medical Birth Registry and a local obstetrical database containing information from patients' medical files. Results were adjusted for body mass index, age and the use of epidural analgesia. MAIN OUTCOME MEASURE: Risk for emergency cesarean section. RESULTS: Among women who were induced, the proportions delivered by emergency cesarean section were 42% for nulliparous and 14% for multiparous. Compared to spontaneous onset, this corresponded to a more than threefold increase in risk for nulliparous women (OR 3.34, 95% CI 2.77-4.04) and an almost twofold increase in risk for multiparous women (OR 1.94, 95% CI 1.24-3.02). There was no significant difference in risk for emergency cesarean section between the two methods of induction (PGE(2) and transcervical catheter). CONCLUSIONS: Compared to spontaneous onset of delivery, induction of labor is associated with an increased risk for emergency cesarean section both among nulliparous and multiparous women. When labor is induced, the high risk for emergency cesarean must be kept in mind. The rate of labor induction is increasing in the United States. Methods for quantifying cervical factors have been developed to identify patients who may benefit from cervical ripening before induction. The first cervical scoring systems used digital examination. More recently, cervical ultrasound and testing for the presence of fetal fibronectin have been suggested to evaluatecervical readiness for labor induction, but neither of these methods provides a significant improvement over digital examination. The Bishop score, the most widely used digital examination scoring system, still is the most cost effective and accurate method of evaluating the cervix before labor induction. OBJECTIVE: To quantify the risk and risk factors for cesarean delivery associated with medical and elective induction of labor in nulliparous women. METHODS: A prospective cohort study was performed in nulliparous women at term with vertex singleton gestations who hadlabor induced at 2 obstetrical centers. Medical and elective indications and Bishop scores were recorded before labor induction. Obstetric and neonatal data were analyzed and compared with the results in women with a spontaneous onset of labor. Data were analyzed using univariate and multivariable regression modeling. RESULTS: A total of 1,389 women were included in the study. The cesarean delivery rate was 12.0% in women with a spontaneous onset of labor (n = 765), 23.4% in women undergoing labor induction for medical reasons (n = 435) (unadjusted odds ratio [OR] 2.24; 95% confidence interval [CI] 1.64-3.06), and 23.8% in women whose labor was electively induced (n = 189) (unadjusted OR 2.29; 95% CI 1.53-3.41). However, after adjusting for the Bishop score at admission, no significant differences in cesarean delivery rates were found among the 3 groups. A Bishop score of 5 or less was a predominant risk factor for a cesarean delivery in all 3 groups (adjusted OR 2.32; 95% CI 1.66-3.25). Other variables with significantly increased risk for cesarean delivery included maternal age of 30 years or older, body mass index of 31 or higher, use of epidural analgesia during the first stage oflabor, and birth weight of 3,500 g or higher. In both induction groups, more newborns required neonatal care, more mothers needed a blood transfusion, and the maternal hospital stay was longer. CONCLUSION: Compared with spontaneous onset of labor, medical and elective induction of labor in nulliparous women at term with a single fetus in cephalic presentation is associated with an increased risk of cesarean delivery, predominantly related to an unfavorable Bishop score at admission. I have a question/story about posterior positioning. My youngest was due Jan 10. I started prodromal labor on Dec 25. I was having regular and painful contractions, but not making any cervical progress. My midwife felt that his posterior position was causing this and encouraged me to try different techniques to encourage him to get into a better position. By Jan 16, his body had turned, but not his head. Is that common? How could his head and his body be twisted different directions? I was scheduled for an induction the following day, but I went into labor on my own at 2am. I am thankful to have avoided an induction, and reading information from your blog is one of the reasons why. I was also able to share the research from your site with my husband to explain why I felt it was so important to avoid being induced. Thank you. "Many "overdue" babies are actually posterior babies whose positions are simply not putting the most efficient kind of pressure on the cervix to thin and dilate, and so the body wisely does not go into labor yet. Forcing the issue by inducing labor when the baby is posterior (or has other malpositions) tends to result in long, hard labors that often end in a c-section." THIS x 1000. Seriousy, this is exactly what happened to me, and I dont' remember ANYONE mentioning anything about a Biship Score to me. I seriously love your blog so much. Thank you for all your great posts. @Jen That's exactly what happened to me as well. I had sporadic contractions, including some that didn't even cause any dilation that ruptured a blood vessel, for several week, and I was at 1 cm at 41 weeks 2 days when I agreed to the induction. My ob mentioned the Bishop's Score as an indication of how likely an induction would work when I asked. But that was at 2 days past my due date. The next week, you'd have thought that 42 weeks was an expiration date and the fact that I think my Bishop's Score had only gone from about 2-3 to 3-4 wasn't important. As as WRM points out is so common, I ended up with a c-section. Though at least I have this blog to thank that I even know she was posterior. If I hadn't of read her post about anterior vs posterior babies, and asked since my belly looked posterior, I doubt anyone would have mentioned it at all. Remember that it's your body, your choice. My doctor scheduled an induction when I was past my due date, and I didn't want to argue so I nodded and smiled, but there was no way in hell I would have gone in to be induced. I was prepared to wait at home for another week or two or however long it took until I went into labor naturally. I am overdue 1 week +3 days and my bishop score on the 41 week was 1, so the midwife predicted that I will require an induction. The information in your blog and the references to the scientific research showing the relationship between fail inductions and low bishop scores has been of great help and has given me tools to discuss with the doctor and midwife other options but induction. Thank you. I love your blog. Hi, I am 38 years old, overweight and 38 weeks pregnant. My obygn would like to induce me in week 39, because he says that there are elevated risks of stillbirth for both older women and for women with a high bmi that start in week 39, as opposed to week 42 for younger and or slimmer women. I am looking for more information on this in order to make a decision. I have no gestational diabetes, have gained 15 pounds in this pregnancy and do not have high blood pressure. My high risk pregnancy has actually gone very well, and I like and trust my doctor. I am just not sure that I would agree to being induced based on statistics alone, however, I do not want to do anything to put the baby or myself at risk. My doc has not yet performed an internal exam, so I do not know if I am dilalated or effaced at all, and have no idea about my bishops score. The doctor will do an internal exam at 39 weeks and will try a sweep to see if I go into natural labour before induction. If I am not dialated or effaced, I think I will refuse the induction for sure. Can anyone provide me with information sources on this? Congrats on your pregnancy! There is no evidence-based way to know what the best decision is in this situation. There is a risk to continuing on and there is a risk to inducing. Which risk do you choose? That's an individual decision and different people will choose differently. Your dr is correct that there is a somewhat higher risk for stillbirth in older women, although at 38 you're not very far into that territory. Research also shows an elevated risk for stillbirth in very obese women, although if you look more closely, this is often in small-for-gestational-age fetuses or those with BP issues. How much risk there is in normal-sized babies in healthy high-BMI women with no complications is unclear and more research is needed. What's important to remember is that the risk for stillbirth is very small, even in groups in which the risk is increased. So although this is the outcome that everyone fears (and rightly so), it really is a small risk. Chances are you'd be fine continuing on...but no one can guarantee that. That's the hard part. Nor can they guarantee that you'd be fine with an induction. Although reasonably safe, inductions do present more risk than normal labor, which is why continuous monitoring is required. 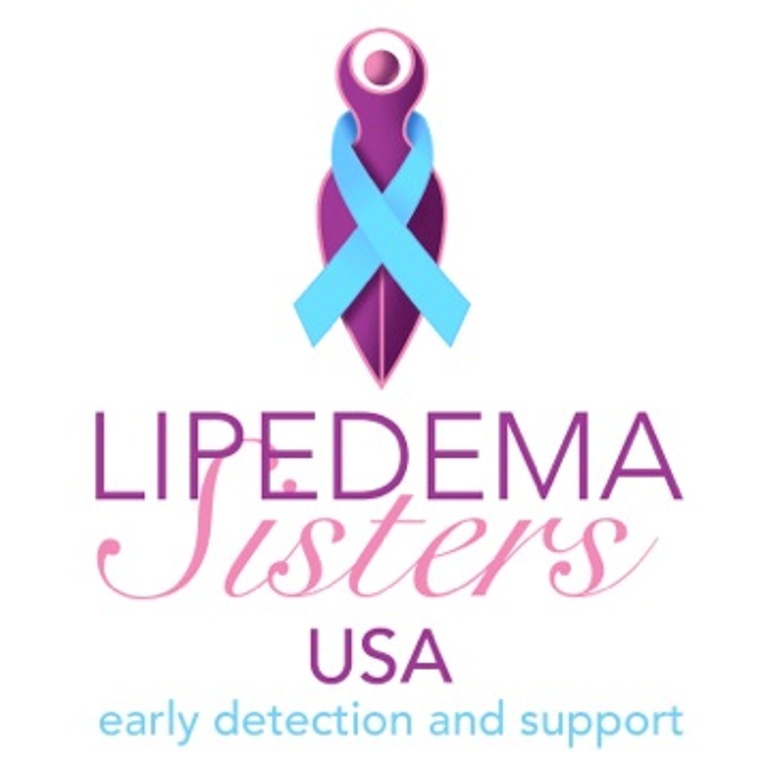 I have known women whose babies died or nearly died as a direct result of induction, due to hyperstimulation, fetal distress, cord prolapse, etc. That's a rare outcome too, but it's important to remember that inducing is not risk-free. Care providers sometimes emphasize the potential risks of stillbirth and forget to mention the potential risks of induction. Both carry risks; there IS no risk-free course here. So the question is how to balance these two risks? Only you can weigh these two potential risks and make a decision right for you. I can give personal perspective, but of course it's not medical advice, and of course will reflect my own biases and experiences. It's pretty clear that an induction on an unripe cervix is very likely to fail and result in c-section. Personally, I wouldn't induce on an unripe cervix unless there were pressing medical issues. I also personally wouldn't induce sooner than 40-41 weeks, esp if you tend to have cycles longer than 28 days. But then I had 2 c-sections for people trying to induce early, so naturally I'm biased. Someone who experienced a stillbirth would be biased the other way. Induced labors are far more painful and difficult than spontaneous labors. Chances are you'd need an epidural. So that weighs into the equation too. If you do decide to induce at some point, you might want to consider acupuncture sooner than later to help things get ready. It usually won't put you into labor, but it can help "turn on" the oxytocin receptors and soften the cervix and get things more ready so the induction is more likely to succeed. Or you can wait for your body to do those things on their own; it will, but it may not be on the timetable your dr is comfortable with. Sorry I don't have more wisdom to offer to you; this is one of the greatest dilemmas to pregnancy care of high-BMI women. Current obstetric practice leans strongly towards induction; I'm not convinced this is such a great idea but it's hard to know for sure without more data. I am a Doula in Plant City, Florida. I am very thankful for your information presented here.